Have Our Former Prosecutor Fight For You. Call Us Now at 914-723-7900. If you are charged with a crime such a Driving with a Suspended License or a DWI, you should enter a plea of not guilty, invoke your right to remain silent, and retain lawyers by calling 914-723-7900. Court Description: The Eastchester Town Court is located at 40 Mill Road, in Eastchester, New York 10709. The court has jurisdiction over misdemeanor matters such as Criminal contempt in the second degree PL 215.50, Criminal contempt of a temporary state commission PL 215.65, Criminal contempt of the legislature PL 215.60, and Criminal contempt of the state commission on judicial conduct PL 215.66. About Our Firm: Villanueva & Sanchala, PLLC has represented hundreds of criminal defendants and ticket matters in Dobbs Ferry and surrounding courts. The firm has a successful trial record. If you need an attorney, call them at 914-723-7900. Q. I was pulled over on the Hutchinson River Parkway for speeding. The officer stopped me almost 2 miles from the point of the radar scan. Can I get thsi case dismissed? There is nothing in the books that says an officer must stop you within two miles of a radar detection. Quite often, it is an issue of officer safety issue. 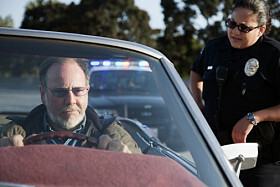 An officer may be running your plates to see if you have a warrant for your arrest. In the alternative, the officer may be waiting to find a safe place to pull over. There is an endless amount of factors that may be taking place. Q. Can your firm assist me on my traffic ticket? Yes. Our goal is to have your charges reduced or dismissed. We are located very closely to the Eastchester Town Court and can assist you in your matter. Q. I’m not working and cannot afford an attorney. What should I do? Our office accepts all major credit cards. Call our criminal defense lawyers today and ask for a confidential consultation at 914-723-7900.